babyballet® is the World's Leading Preschool Programme! Each class is delivered with an ideal mix of dance and fun and is the perfect introduction to dance. Not only do the classes teach the girls and boys coordination, songs and fun dance moves but they teach them patience and the importance of sharing while capturing their imagination. babyballet® involves the whole family as mummy and/or daddy have lots of fun joining in too and it is a lovely opportunity to meet other mums and dads and make new friends. Our babyballet® teachers can adapt their dance classes to fit each individual child's needs. The babyballet® Tinies class introduces little ones to the basics of ballet using movement, play and song. babyballet® Tinies develop their physical and communication skills in this fun-filled, lively environment. Parents are very much involved, as the children learn to move in time to the music whilst stimulating their imaginations and learning to count through song. The babyballet® Movers class encourages preschool children to combine their imaginations with dance using movement and song. The preschool years are crucial in your little one’s development. Our Movers class focuses on the further physical development of your child through dance, in combination with the use of imaginative storytelling. The Movers class is more than just dancing – it also gives children the chance to learn valuable skills by responding positively to both the teacher and the other children in the class. Our preschool age tappers class is perfect for younger children who like to make a noise in their tap shoes! For children aged 3 and above, this dynamic, upbeat class teaches little ones basic tap steps accompanied by catchy music and songs. Tappers classes run alongside babyballet® Movers. We find it takes our littlest dancers more than one lesson to settle into a class which is why we developed the 3 Class Pass at a discounted rate. 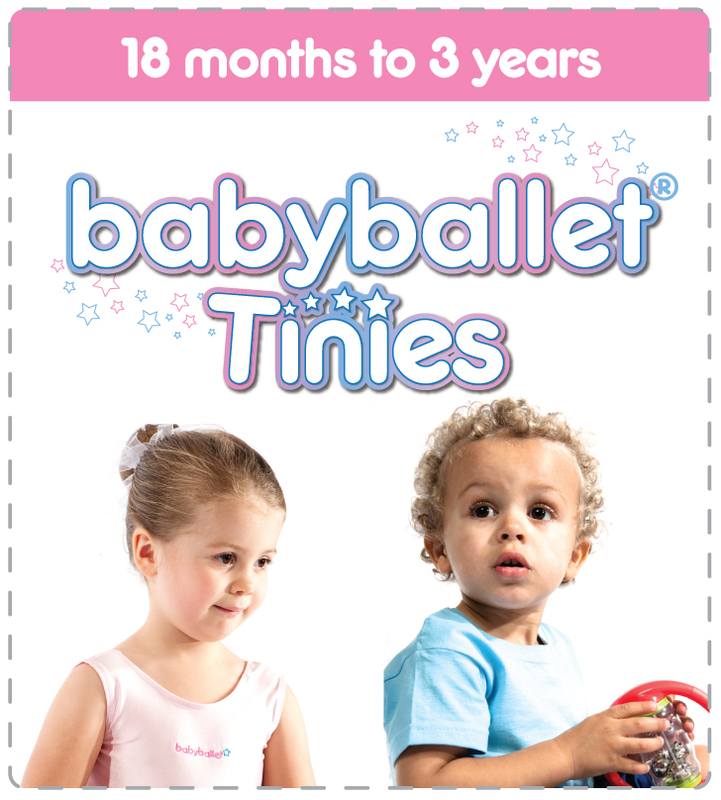 This gives you and your child more time to see if they really do love babyballet® before committing to a full term.